Homemade spaghetti sauce perfect for spaghetti and meatballs, lasagna, ravioli or baked ziti and more. When Jane Doiron contacted me about reviewing her new cookbook, Make Ahead Meals for Busy Moms, I knew by the title that this was a book for me. If you're a mom then I know you're busy which doesn't leave a whole lot of time for cooking. Any cookbook that will help cut back on time spent in the kitchen is right at the top of my list for cookbooks. I think the number one complaint as to why more moms don't cook at home is because they just don't have time to do it. Not only does Make Ahead Meals for Busy Moms have great recipes for REAL FOOD but it also has time saving tips scattered throughout the cookbook. It took me a couple days to get through the cookbook. I was so surprised at just how many recipes she had that I couldn't wait to try. 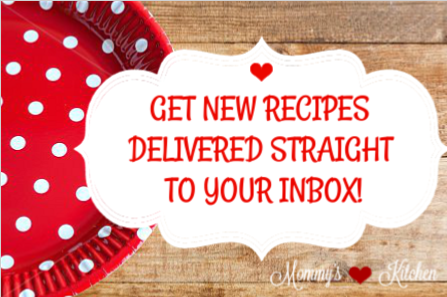 I found so many recipes that I liked and already found three meals to list on my next menu plan. 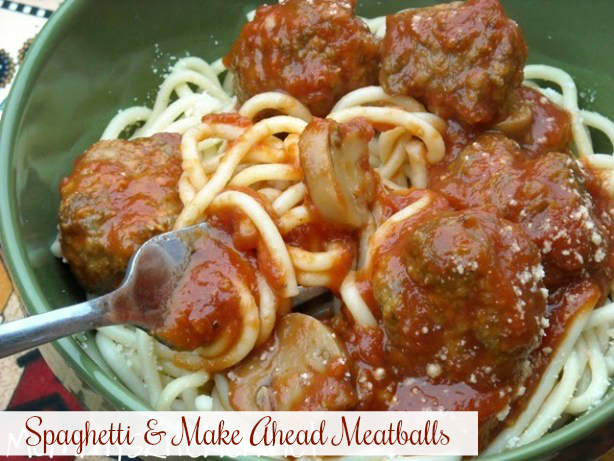 The first recipe I made was chose to to try was Jane's Spaghetti with Make Ahead Meatballs. I have to admit I'm a cheater when it comes to making spaghetti sauce. Don't hate me but I occasionally use Ragu's super chunky mushroom spaghetti sauce. I know it's store bought sauce but the flavor is so good. Not to mention is it always on sale and I usually have a coupon, so I just pay pennies for the jarred sauce. Making the meatballs ahead of time is such a huge time saver and I can make more than enough for two meals. The meatballs were a cinch to make and so easy when it came time to cook the sauce. All I had to do was remove them from the freezer and toss them into the spaghetti sauce. 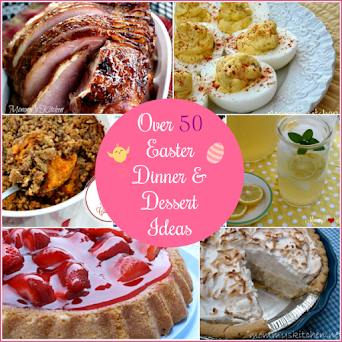 Make Ahead Meals has so many time saving tips and most of her recipes are made ahead of time. A few of my favorites are BBQ Pulled Pork, Lasagna, Marinated Steak, Mini Meatloaves, Breakfast Burritos and this Spaghetti Sauce recipe. I'm making the Teriyaki Chicken Thighs and the Tuna Noodle Casserole this coming week, so I will let you know how those go over. This cookbook also has a few freezer meal recipes which I love. This cookbook has a variety of recipe for breakfast, sides, soups and desserts. All I can say is JANE how did this book get passed me? I'm hoping to squeeze in her Italian Cookies before Christmas but I'm not sure if I can swing it. If not then I will make them for New Years Eve for sure. The spaghetti and meatballs turned out delicious and the sauce was even better the second day after the flavors have had time to mingle together. This recipe make a lot of sauce, so I split it up and freeze part of it to use for another meal for ravioli or lasagna. I have included the recipe below so you can try it. I took Jane's advice and froze the meatballs ahead of time. Instead of cooking them I just formed the meatballs using a small cookie scoop so they would be even shaped. Then I placed them on a baking sheet and flash froze them for about 30 minutes. When the meatballs were frozen I added them to a large freezer bag, dated the bag and froze them. When it's time to make the spaghetti sauce all I have to do is remove the meatballs from the freezer and placed them on a greased baking tray bake according to the recipe and add the sauce. If you would like to try Jane's Cookbook---> Make Ahead Meals for Busy Mom's, I'm giving away free copy today!!! You wont be disappointed and I am so glad I had the opportunity to review this cookbook, because it really is pretty awesome. Thank you Jane for making an awesome cookbook that's so useful to all the busy moms out there. You definitely got it right!!! Earn three extra entries for the following!!! Comment separately for each one. Contest Open to US Residents only, due to shipping charges. If you do not have a blog profile please leave your email address in your comment so I can contact you in the event you are the winner. The Winner will have 48 hours to contact me or I will choose a new winner. 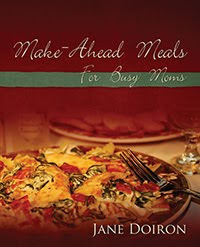 You can also visit makeaheadmealsforbusymoms.com if you are interested in purchasing a copy Jane's Cookbook. It would made a great gift for that special someone. Preheat oven to 350 f. In a large bowl, mix all the meatball ingredients together. Use a 1/4 cup measure for large meatballs or a small cookie scoop to form meatballs. Place all the meatballs and the sausage on a large baking sheet and bake for 25 minutes. Set aside. In a large pot heat the oil over medium heat. Add the onion and stir occasionally until transparent. Add the garlic and stir for one more minute. Turn the heat down to medium low and add the ground tomatoes, tomato paste, water, oregano, pepper, sugar, and pepper flakes. Stir well until smooth. Add the drained meatballs and sausage to the sauce and simmer for 1 1/2 hours. Lower the heat, if the sauce sticks to the pan stir occasionally. If using a bay leafs remove from sauce before eating. Crock Pot Version: Saute the onion and garlic in a small sauce pan and then add to the crock pot. Add the remaining ingredients and cook on low for 6 hours. I added the meatballs the last 2 - 3 hours of cooking. Cooks Note: This recipe yields a pretty good amount of sauce. I recommend freezing half of the sauce for another meal. This would be a great sauce for Lasagna or Baked Ziti. Disclosure: Jane Doiron provided me with a complimentary copy of "Make Ahead Meals For Busy Moms" for the purpose of reviewing her cookbook. Receiving this product does not influence my opinion or my views . Thank you to Jane Doiron for sponsoring this giveaway. Hi, I just tried the featured recipe this evening and it was SUCH a time saver. I'm a single mom of 3 teens. I work over 50 (yes fifty) hours a week as sole supporter of our family. Time and energy are a challenge when it comes to food prep and yet home cooked meals are vital to my parenting. I tweeted the drawing, I clicked to follow on twitter, as well as to follow the blog. I have 9 month twin boys and the biggest challenge for me is to get dinner made. If they are taking their afternoon nap, I can get it started and hopefully ready when my husband gets home. If not, a phone call gets me take out! My biggest time challenge is in the morning. My 3yr. and a 5yr. old old wakes up hungry. Other than cereal or oatmeal I am all out of ideas. I have never made my own spaghetti sauce, but that looks easy enough that I will try it! The biggest challenge for me is there is always one child who doesn't like what I make! My biggest challenge is that I never learned to cook when I was growing up. I have a 19 month old and definitely want her to be the opposite of me, which means sometime soon I need to learn to cook! I have a limited repertoire of meals that I rotate between. My husband is deployed right now and it's so hard to cook for just the two of us, although I'd love to have some great ideas for meals for when he finally comes home. I love your blog and this book sounds right up my alley! Happy Holidays! My biggest challenge in the kitchen is getting the entire family to eat it. My middle son is picky picky and would sooner starve than eat. The child just does not like food really. Also, scheduling is a problem quite often. The baby likes to eat earlyl, husband later, and juggling after school activities right at dinner time is always fun. My biggest challenge is having the time to make a hearty home cooked meal and have it on the table by 5:30 the latest! This sounds like a book I definitely could use! My girls are pretty good eaters, thankfully, but I like to make home-cooked meals and sometimes that takes a little extra time when they need attention too. 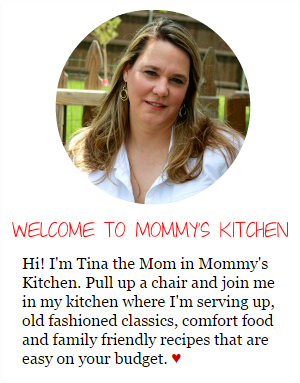 Ok, so I am now following make ahead meals for busy mom's blog. Also, following Jane Dorian on FB. Thanks for the chance to win a cookbook. Sounds like a good one. My biggest challenge is the time crunch between picking my daughter up from school, helping her with her homework and then making dinner. This book sounds like it could help me! That book sounds great!! My biggest challenge is especially during the Holidays, having everything ready to eat at the same time and having it still warm. I like to eat dinner between 5-6pm but no later than 6. Sometimes we get busy and it's a mad rush to get it cooked. This cookbook and the blog site sound much like what I have been looking for. I have 2 big challenges that gnaw away from my cooking - TIME & energy. After a 60 minute drive home each night, and not getting home until between 6 and 6:30, the last thing I want to do is spent much time in the kitchen. While my 15yo helps out, he is still learning and it just is not the same thing. My challenge is that I currently live with my parents, my sister, my brother in law, their baby and my 3 year old. My mom is on a diet for diabetes and my sister is on one for her gallstones and my 3 year old is kind of picky. Also, I'm on a pretty tight budget, so on the nights when I cook, I like to do something cheap. So, I have lots of challenges. I am a working Mom I am in a hurry to get a meal on the table. My biggest challenge would have to be picky eaters and time. I love to make elegant Italian meals ala Giada but my family gives me grief because they get sick of Italian fancy food or it just plain doesn't appeal to my son. I would love to win a copy of this book. I get home at 5 and I need dinner on the table by 5:30 before the kids go to karate. My biggest hurdle is just the craziness that ensues in our house as soon as the kids come home from school. If I don't at least have a plan for dinner when the kids get home it's a lost cause. My daughter has dance twice a week from 5-6. It's really, really hard to figure out how to get a nutritious, delicious dinner on the table when we leave here at 4:30 and return with everyone starving. I'm following the make ahead meals blog. My challenge is sitting down to dinner before 7:00! I work out of town and most of the time there is a quick casserole for dinner. 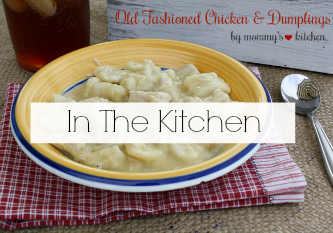 Making ahead meals and crock pot use are favorites of mine. So this cookbook would be a great addition to my collection! My biggest Challenge is getting dinner done, decided what to make, finding plates to put it on....all of it!!!!! I have a two year old who is picky and a 7 month old who wants to eat at the time I should have already started dinner! I would love to win this and if I don't I will have to use some Christmas money and go get it! I just wish it said "and dad's can do it too!" Ha Ha! 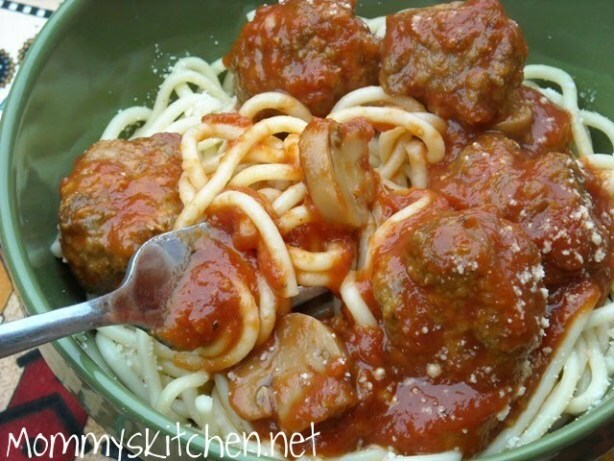 I never thought I'd get to excited about speghetti & meatballs, but this looks delicious...I'll have to give it a try, especially since my husband loves spaghetti! It's definitely a challenge for me to get dinner ready on time with two little girls under 2, so I like dinners that I can either cook in a crock pot all day or do ahead of time. My biggest challenge is that when it's time to make dinner, everyone and everything seems to demand a piece of me. I get home at 5:30 and automatically start cooking (but I'm tired!) so we aren't eating too late, my son is usually still working on homework and needs help or needs to be prodded along, my husband wants to talk or go through plans or the mail or whatever, the phone is ringing, it never ends. It is often difficult to enjoy cooking dinner on weeknights b/c of the chaos. I've found a few ways to get by, like prepping things in the morning, keeping a few meals in the freezer, and utilizing leftovers, but it still often ends up being crazy and feeling rushed. My biggest challenge is cooking for 3 people. Portions are always wrong in recipes and it seems I always make too much, even after I've cut the recipe down. Secondly would be time. There are far too few hours in the day! I love making home made spaghetti sauce, I will have to try this recipe! :) Meatballs so much fun to make too... I have never tried freezing them though, so I will have to try that. Picky eater!! My 3 year old does not want to try anything! She could live on crackers and bread!! Finally I have her eating some chicken but its been a process! My greatest challenge is new QUICK'N'EASY meal ideas! Tired of the same ol' same ol', but add picky eaters and the fact I don't enjoy cooking a lot - well I struggle with new meal ideas. Thanks for the chance to win what looks like an awesome cookbook! 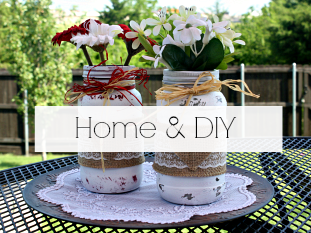 I'm adding the Make Ahead Meals" blog to my feedly blog reader! The biggest problem I have is coming up with new meal ideas. My biggest challenge is getting home from work & needing to fix a "healthy" meal for my diabetic husband. I would love to find some make-ahead recipes that could be used easily in a diabetic-friendly lifestyle! My biggest dinnertime challenge is that I don't get home from work until about 6:30. So meals made ahead or quick and easy are what I need. 95% of our meals are made from scratch (no soup involved LOL) so I've got to get moving as quick as I get in the door! My biggest dinner time challenge is learning how to make things ahead of time and freeze them. I have a freezer that I rarely use because I don't know the best way to freeze things. When I do freeze things they have freezer burn and end up being thrown out and wasting money. My biggest challenge is my 21 month old wanting to be in the kitchen with me when I cook. She gets into everything, leaves stuff on the floor and makes it very difficult to make meals quickly, LOL. I stumbled upon your blog yesterday. And I love it already. I am going to make the fudge puddles for Christmas. My biggest problem with cooking is time. My husband works nights, so I have three hungry and impatient children all wanting to eat now! And then when it is finally done, at least one of them won't eat it. 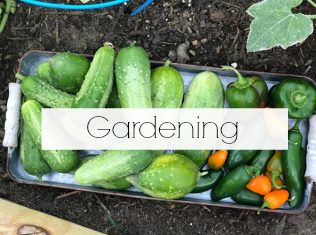 Thanks for sharing your blog and recipes. I am glad I found it! My biggest challenge is coming up with new meal ideas! I always seem to repeat. MY BIGGEST CHALLENGE IS HAVING ALL OF THE INGREDIETNS ON HAND! Ive got a few challenges. I get home from work at 6:30pm and have to feed my 3 children ages 1, 2 and 6. My toddler is such a picky eater that most nights I cross my fingers when serving him dinner and my 1 year old is ready for bed at 7:30pm. So a small window to prepare food and a picky eater. I need all the help I can get! Kids are so funny about what they'll eat including my son who will eat broccoli but not cheese. He loves to help cook no matter what it is and eating meatballs are touch and go with him. We will try this one out. I usually make my own sauce anyway as we aren't fond of bottled sauce, see everyone is different. I have a picky three year old and a four month old so i have issues coming up with the time and what to eat. Getting everything done at the exact same time. my biggest challenge at dinner time is that I don't have ANY time, haha. I get home from work really late and by the time I get to making dinner I am way beyond tired. This recipe sounds like a time saver, will have to check it out. Great giveaway! Sounds like my kind of book. I just went over and signed up to follow the make-ahead meals sight. Looks like she's posted some great recipes I'm looking foward to trying. My biggest challenge would be finding something everyone will eat. My oldest daughter is extrememly picky and doesn't like the texture of meat. I always have to find something for her and it gets to be such a pain! This spaghetti would be great because she could just leave the meatball off her plate. Very cool review. I'm going to go add it to my Amazon wish list. My biggest challenge: my husband. He is very picky about food and even if he likes everything in something, he will complain if it is too "complicated." I am feeding my son solids now and I am trying as many fruits and veggies as possible so hopefully there will be someone in this house with a similar (and healthy) palate. My biggest challenges are a 13 month old that wants all my attention and a pregnant belly making me extra tired! I try to start dinner by 3 because after 3 my energy seems to go down hill faster. I am also now a follower of Jane's blog! What a great blog it is!! My biggest challenge is coming up with economical, yet healthy and easy dinner ideas. Every week I slave over my menu plan for hours to try and fit it dinners that have all three criteria. This book looks great! I would say my biggest challenge is time. I have 4 kids they are 9,4,3,1 and a husband who is always hungry and I cook for 12 very hungry guys that live at my Fathers church. But, I love cooking for them all. I need lots of casserole recipes. I have a challenge feeding 2 teenage daughters. One will try anything I cook while the other one only wants to eat pizza or ramen noodles! Help! I am now following Jane Doiron on facebook! I need her help! Followed the receipe as written except for the 2 28oz cans ground tomatoes,I used one 28 oz diced tom and one can crushed tom.in puree-thinking that would not make a difference... it tasted horrible. So bland, thick and " too tomatoey" tasting. Any suggestions???? I usually wait until I'm hungry to start making dinner. By the time I am done I am starving! I have twin 1 years old and a 3 year old boy. It is hard to prepare a full meal each night while watching/taking care of kids. I have been making meals ahead of time and putting them in the freezer and I love this! I can make dinner when I have the time. I am always looking for new reciepes for the freezer. I am now following the Make Ahead Meal blog. Wow, it's really good. I have done a once a month cooking before and I would really like to do more of this. I would truly love to have this cookbook. What an asset to any cook. Keeping the kids occupied while getting dinner on the table is one of my biggest challenges. I love to cook most foods from scratch so I have to get pretty creative. 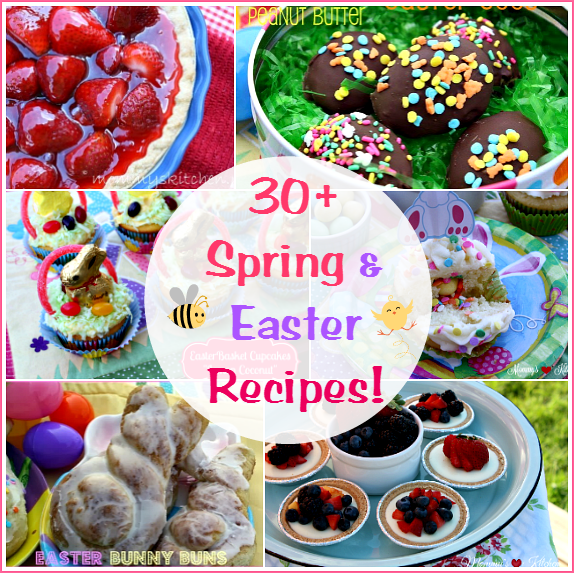 I have been doing some make-ahead meals for the freezer and that has been a big help! Thanks for the chance to win this cookbook, it looks good! Tweeted about giveaway...not sure how to get direct URL but here is the link to me! Thanks! My biggest challenge is keeping my 2 yr old happy and not cranky while I'm making dinner, and transitioning my husband back into the house! My biggest challenge in the kitchen sometimes is just thinking up what to cook! My biggest challenge is that the challenges aren't MY children anymore, they are my grandchildren. I'm 51 and exhausted after the end of the day with a three year old, a two year old and a six month old. My husband and I eat out WAAAY too much now. Which, although I never would have thought this in the past, gets old. What a great book! I have the nonsense of two meals at my house. One for us, one for Hubby. I know it is ridiculous, and I have whipped myself to bits time and time again, but let's face it, it's my Hubby. The kids would have to suffer through with whatever I prepared. That's not the problem. Being able to prepare some foods ahead of time enables me to whip up ingredients I know he'll eat...which isn't much! I am now following on Jan on Twitter. I am now following Make Ahead Meal's Blog! Thanks for the the contest! Our biggest challenge is that we all work our of the home daily and never have the same schedule so cooking a hot meal is very tricky at our house. It's always nice to hear different ideas that work for other people with the same problem. I would love to win this book. Thank You for showcasing and offering these great books and kitchen items. You've probably already picked the winner, but maybe I made it in under the radar! I know this is an older recipe/post..but I wanted to tell you I made the meatball portion of this recipe and they were delicious! Thank you so much for this recipe - I have never been sucessful at making homemade meatballs before. My daughter is an avid spaghetti fan and she gave them two sauce-covered thumbs up! I would love to win this! We need to eat out less and make bettet at home. Too much not good food coming and hoing either way.